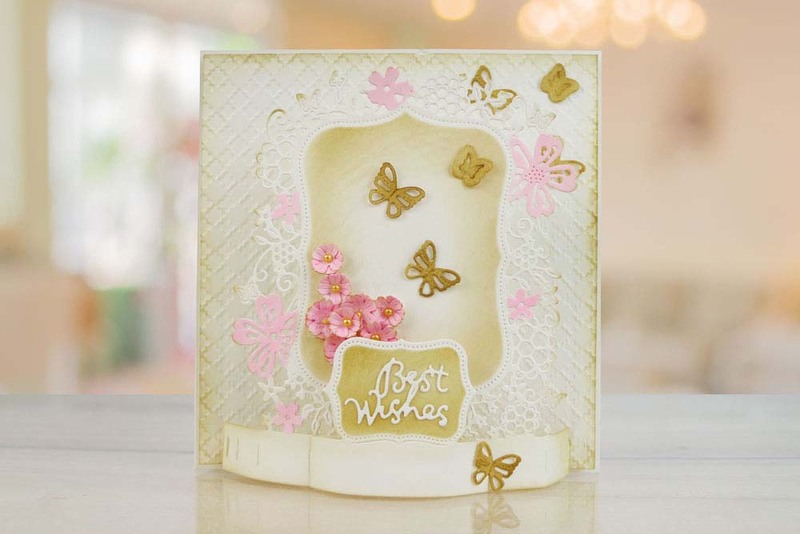 The Flectere Bracket die features a brand new concept, flectere meaning to “bend” or “curve” which is what these dies do to give you stunning curved dimensional projects. 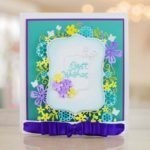 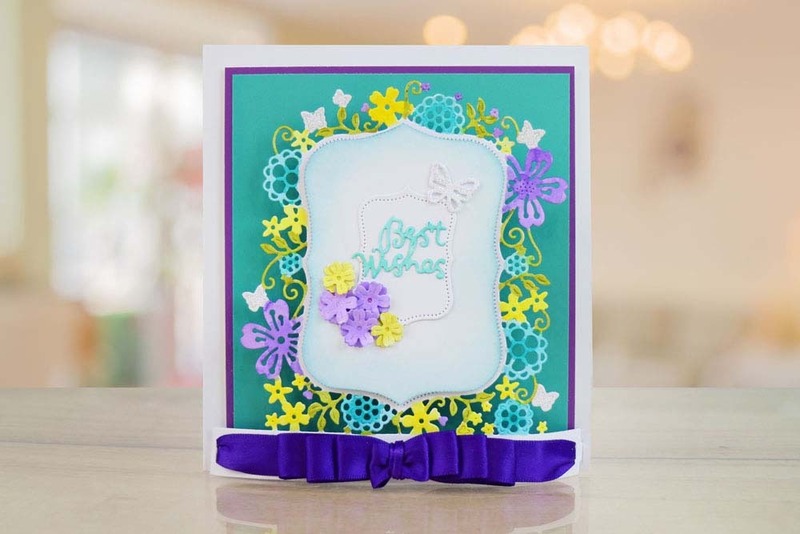 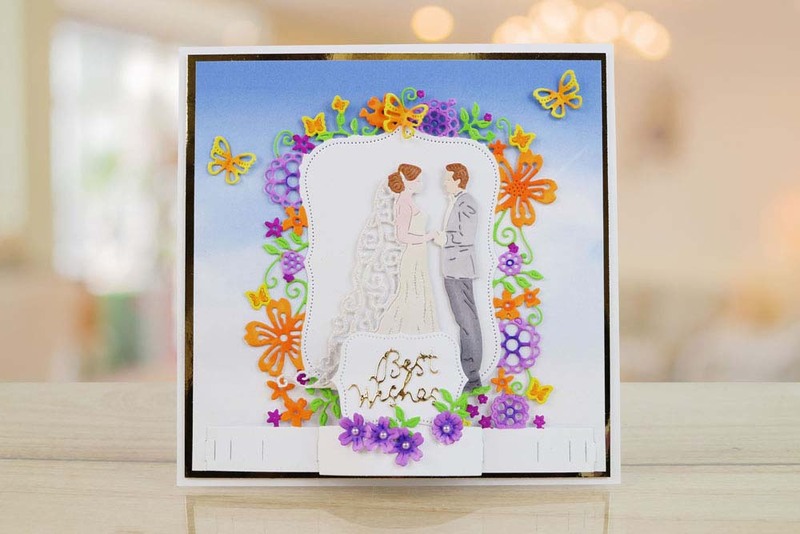 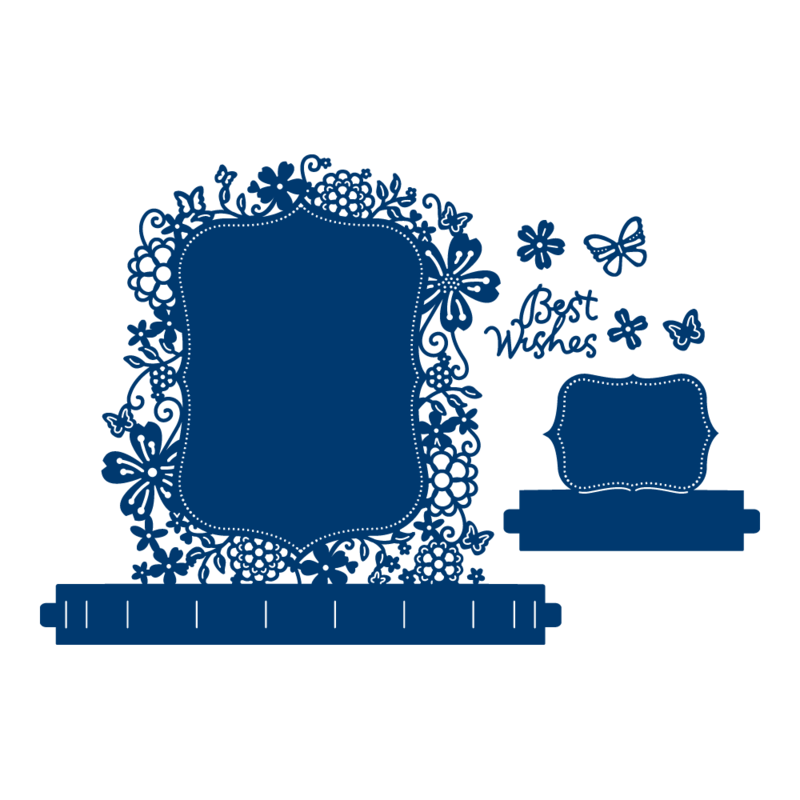 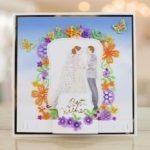 This Bracket Foundation die comes with a sentiment reading Best Wishes, a ribbon plaque and 2 x flower dies and 2 x butterfly dies which make beautiful embellishments and coordinate with the frame around the bracket platform. 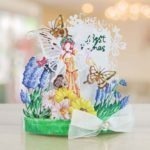 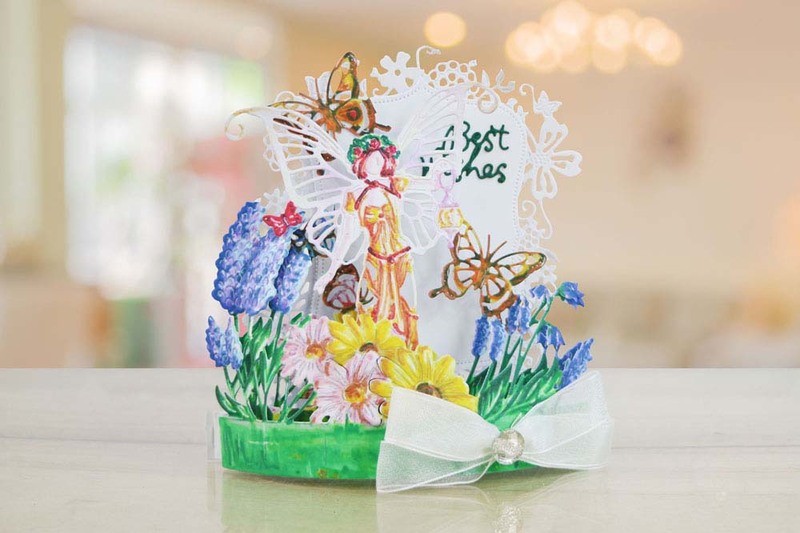 It also features a bracket platform decorated with a frame consisting of flowers, foliage and butterflies, The bracket makes a great backdrop to place sentiments or add matting and layering pieces.